So without further adieu, let’s begin! 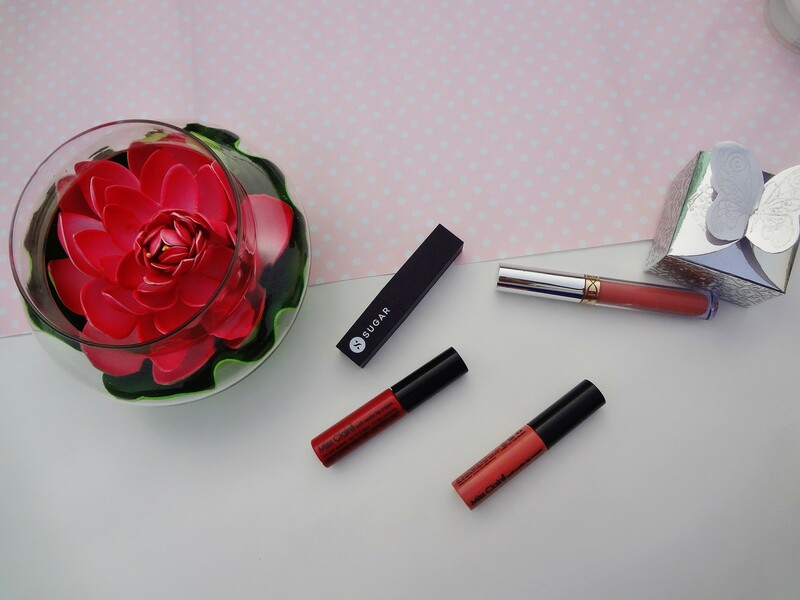 This lipstick has a matte finish and stays for quite a long time. ‘The Big Bang Theory’ is a dark berry pink shade with slight purple undertones. It looks pretty amazing; especially on the Indian skin tone. I still try to mute down the color intensity with baby powder but it’s definitely one of those shades you wanna reach out for during the festival season! 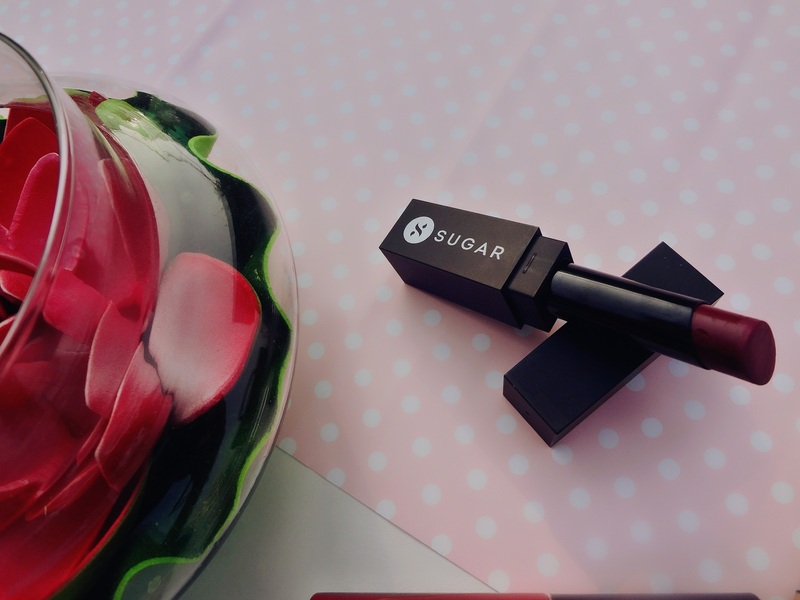 It is transfer proof and you don’t need to feel embarrassed on leaving your lipstick trails on mugs, cups, glasses. 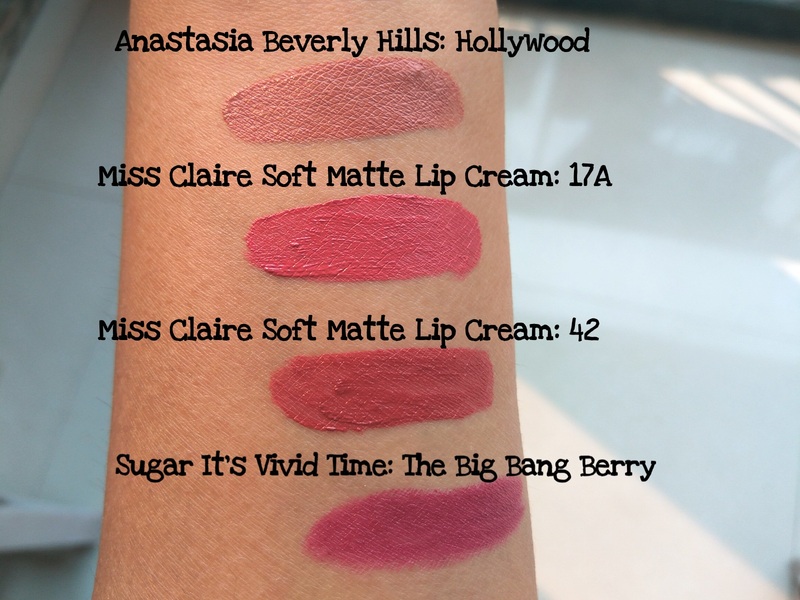 If you own any of the Miss Claire Lip creams, you’d know how you can never get tired of it and would wanna have more shades of it. I mean I have three and I usually wanna try out different brands but I am still not over with these Miss Claire lacquers. 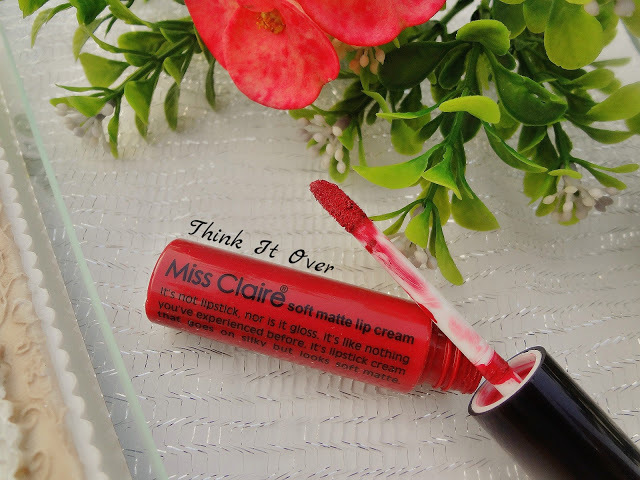 It’s now been the only lip cream I use on daily basis and it wanders to places along with me, sitting in my college bag! These are definitely my must haves! Shade No. 42 is a maroonish-red color with very slight hints of pink. Yes! It’s a complex shade to describe! :’D But it looks quite gorgeous on any skin tone! I recently made an Insta handle and the one thing I really intended to do on being there, was to shop from Insta Stores!! This purchase took quite a lot of time as the shade I desired wasn’t available then so I had to wait for my shade to be re-stocked and then I lost my patience and went ahead ordered the shade ‘Hollywood’. 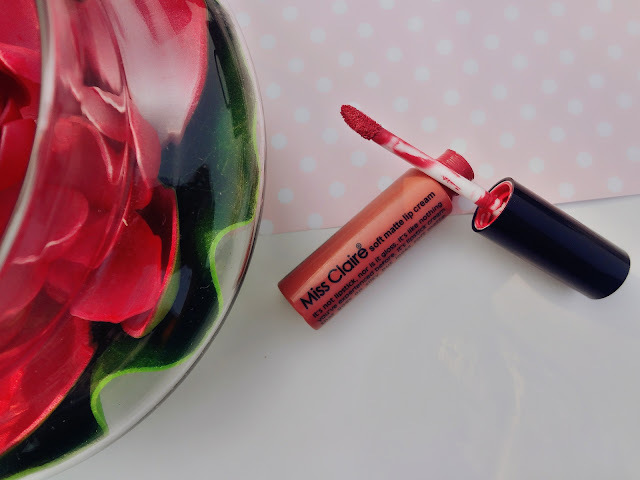 I was little sceptical as this shade is like a your-lips-but better shade and initially I felt it really was like my lips and does it really appear noticeable? :’D Because all I wanted is a soft brown! Anyways, I ended up liking this shade and it’s not really that dark but some of you may like it. 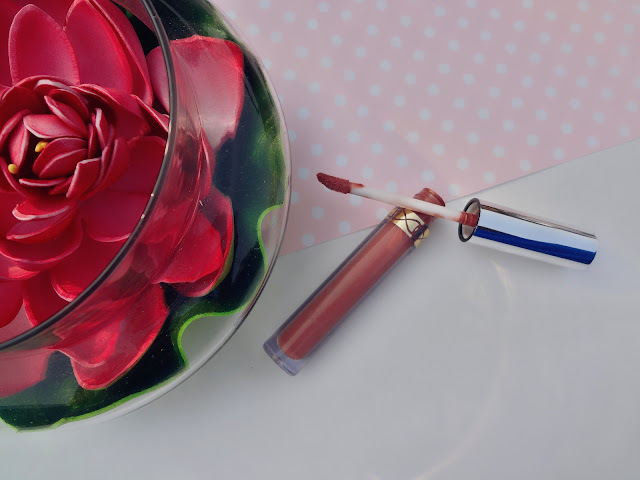 This lipstick is a first imitation and the seller too was quite transparent about it. If you wanna know about the store, leave down a comment and I shall mention.